The Food and Drug Administration approved Wednesday for the first time a duodenoscope with a disposable cap, which the agency said will make the device easier to clean and lower the risk of infection. The FDA said this new duodenoscope — called ED34-i10T and manufactured by medical-device maker Pentax — should be easier to clean because of its disposable caps. "We believe the new disposable distal cap represents a major step towards lowering the risk of future infections associated with these devices," said Dr. William Maisel, acting director of the Office of Device Evaluation in the FDA's Center for Devices and Radiological Health, in an FDA news release. In a statement, Pentax said, its new devices "represents a significant advancement in infection control." The statement didn't disclose the cost of the device or when it will launch in the U.S. market. 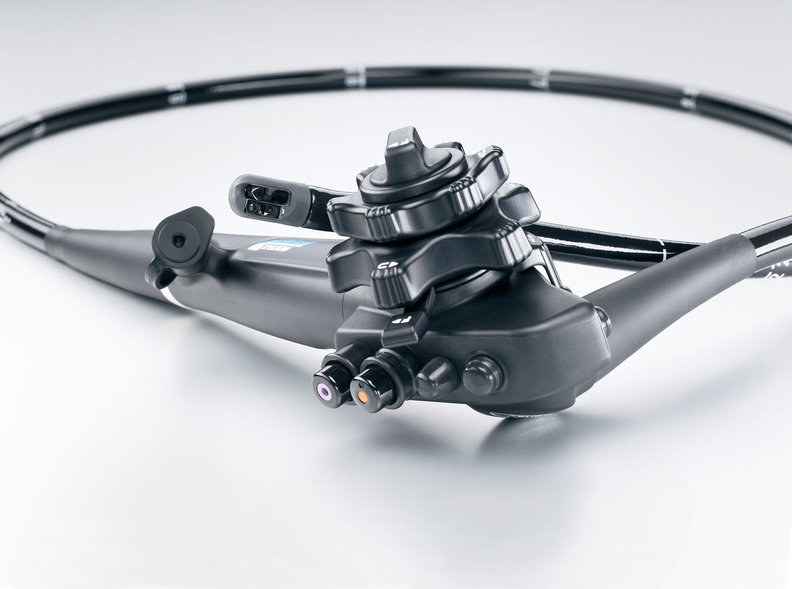 Duodenoscopes are used in more than 500,000 procedures each year as a less invasive way to treat patients. The FDA said a duodenoscope is hard to clean because it's a "complex medical device with many small working parts." If the device isn't properly disinfected, it can pass along tissue or fluids to other patients and transmit infections. In January, the FDA issued a warning for another of Pentax's duodenoscopes, saying cracks and gaps in the device could lead to an increased risk for infections. In 2016, device maker Olympus voluntarily recalled its duodenoscopes at roughly 4,400 healthcare facilities. Scopes have been linked to 25 infection incidents between 2012 and 2015 in the U.S., where as many as 250 patients acquired antibiotic-resistant infections, according to a Senate committee minority staff report. The end of the duodenoscope is hardest to disinfect because that is where the camera, light, air nozzle, catheter and elevator are located, said Linda Greene, president of the Association for Professionals in Infection Control and Epidemiology. Because the new duodenscope has a disposable cap, it will likely make the cleaning process a lot easier. "But it by no means eliminates all the challenges to this high level cleaning process," she said. Dudodenscopes go through a high-level disinfection cleaning process but errors can still occur. Technicians or support staff complete a complex, multi-step process to clean the scope after each use. "The more steps you have in the process the easier it is for the process to break down," Greene said. "There are human beings cleaning these devices." The disposable nature of the device also might not be appealing for physicians, she said. Disposable devices are known to be less durable., and the cost effectiveness of disposable devices is another issue to consider. The link between infections and duodenoscopes will likely spur more design changes like the one from Pentax Medical. Manufacturers and stakeholders are interested in finding ways to make the cleaning process of devices easier. "I think it's important to realize that manufacturers have listened and are trying to come up with ways for better cleaning to take place," Greene added.